Washington Vintage Motorcyclists' does NOT endorse nor recommend these products. This page is simply a reposting of latest technologies available to motorcycle enthusiasts. Research products thoroughly on your own. Any purchase or use is at your own risk and WVM is not liable. Riding a motorcycle in very hot weather can be quite vexing, particularly when trapped in traffic-jammed daily commutes. 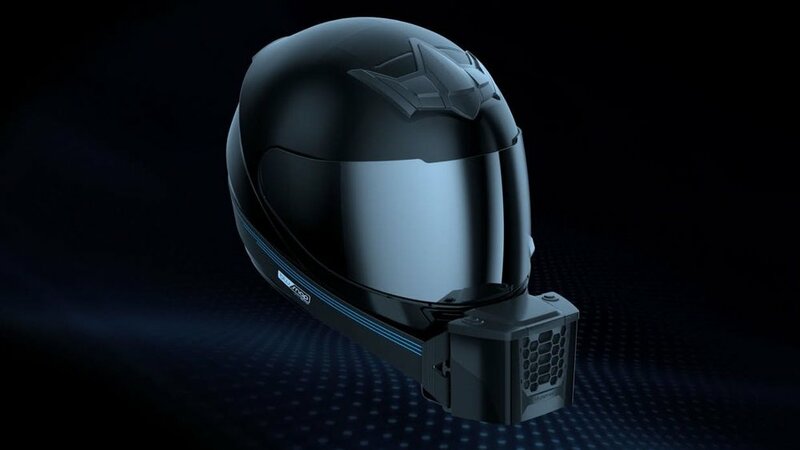 BluArmor Helmets suggests a simple solution to keep the head cool; a detachable air cooler unit that fits to most full-face helmet in seconds and sends refreshing air inside. For folks on an extended road trip or that have to endure living garage-free, motorcycle covers may be the only option for protecting your steed from the elements – and there's something to be said for taking your goods out of the window display in high theft areas. Astric is a motorcycle jacket with a folded-up bike cover stowed away in the back so you won't forget it. Rider visibility is an ongoing issue for those who prefer motorcycles as a means of transport. SignalWear is addressing the problem with the development of what it is touting as the first "smart" motorcycle gloves. New device aims to put brake lights on motorcyclists' heads. A new startup from California is campaigning for a smart motorcycle brake light that can be fitted to any helmet without requiring installation on the bike. The Brake Free works autonomously, alerting motorists to deceleration, even if the brakes haven't actually been applied. Shenzhen-based HFK used the 2017 China International Motorcycle Fair in Chongqing this week to launch a product that just might become a killer app for motorcycles: a purpose-built Digital Video Recorder with 60 fps, 1080P (1920 x 1080) video recording from front- and rear-facing cameras, plus three-axis collision sensor and GPS data logging. By transmitting misleading information to other road users, forgetting to cancel a turn indicator can be potentially dangerous. 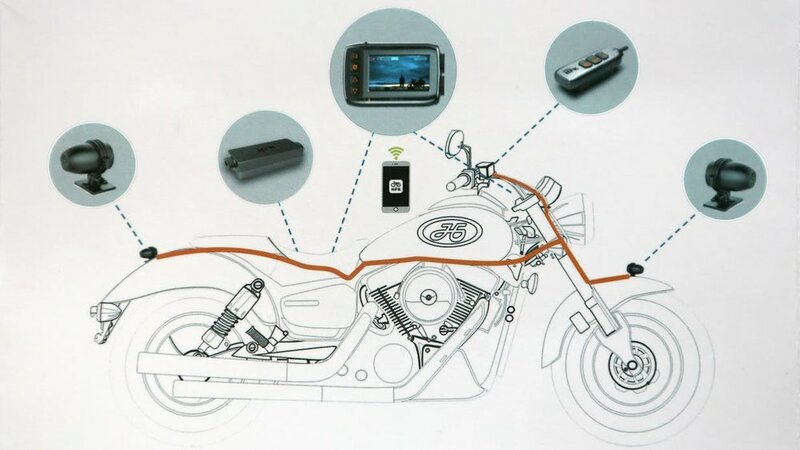 The Smart Turn System is a self-canceling device for motorcycles, designed to accurately determine when a maneuver has been completed before switching off the indicators. Almost two years ago, we featured a prototype device that would turn a sports or motorbike helmet into a speaker. The Headway stuck to the outside of a helmet and used surface transduction to transmit audio waves into the helmet. Now it's all grown up and it's called the Headwave Tag.